It isn't just music superstars who attend the annual event taking place in New York City and South Africa this year. Johnson & Johnson's Chief Scientific Officer, Dr. Paul Stoffels, is on the lineup, too. He shares his personal story of why he's so dedicated to global public health—and how the company is working to prevent HIV infections through an investigational vaccine. he backdrop: Johannesburg, South Africa. The crowd: Some 90,000 people. The headliners: Beyoncé, Jay-Z and Ed Sheeran, just to name a few. We're talking about the upcoming Global Citizen Festival Mandela 100, a concert and event celebrating 100 years since Nelson Mandela’s birth where music fans and world leaders alike can come together to take action on such pressing social issues as poverty and gender inequality. Another big topic on the docket: working together to help fight HIV. Among the luminaries from the healthcare world in attendance will be Paul Stoffels, M.D Paul Stoffels, M.D.,Vice Chair of the Executive Committee and Chief Scientific Officer at Johnson & Johnson., Vice Chair of the Executive Committee and Chief Scientific Officer at Johnson & Johnson, the Major Health Partner of the Festival for the third year in a row. At the 2018 New York City Global Citizen event in September, Dr. Stoffels took to the main stage to share an exciting update from Janssen, part of the Johnson & Johnson family of companies, about the first-ever efficacy study for a mosaic-based vaccine for HIV, as well as to announce a new partnership with the Health for All Coalition to ensure that more than 450,000 community healthcare workers around the world can access the skills and digital tools they need to help save and improve lives. 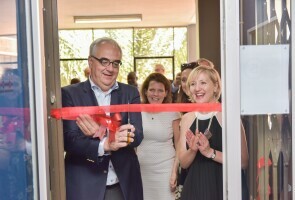 To underscore this critical need for skilled frontline healthcare workers, Stoffels shared the stage with Mary Slessor Sanya, a pediatric nurse and midwife from Kenya who has been practicing for 23 years, and Tedros Adhanom Ghebreyesus, director-general of the World Health Organization. In Johannesburg, Dr. Stoffels will again take to the stage with actor and activist Danai Gurira to highlight the critical role that young women taking part in the vaccine study are doing to help make HIV history. He sits down with us to explain why Global Citizen is such a powerful platform for good—and how this and other collaborations are enabling Johnson & Johnson to fulfill its mission of improving health for humanity. Global Citizen is committed to giving people around the world a healthier future. How is Johnson & Johnson working toward the same goal? Simply put: All of our products—whether from our consumer, medical devices or pharmaceuticals groups—have a big impact on global health. We address health and wellness needs from self-care to more complicated medical care. In pharmaceuticals, for example, we’re aiming to prevent, treat and cure diseases like HIV, tuberculosis (TB), cancer, diabetes and mental illness. We’re also one of the biggest providers of essential surgical tools and instruments, including those used to treat traumatic injury, which is a pressing issue around the world. And our consumer group works to improve overall wellness through sun care, oral health, beauty and other products. Speaking of HIV, your own healthcare career started at a clinic in Africa at the very beginning of the epidemic. What kinds of strides have you seen the world make since the early 1980s in fighting this disease? 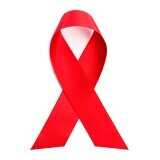 When I started my work in Africa, the life expectancy of an HIV patient was just six months. Today, we are closing in on providing patients a near-normal life expectancy—people are now surviving 30 to 40 years after diagnosis. While HIV patients still need to take medication every day, we can keep people healthy for the rest of their lives. The challenge in less-developed nations is creating the healthcare infrastructure necessary for providing those medications to patients, and more simplified therapies that are easier to stick to over the long run. So we’re now working with partners on developing a long-acting injectable treatment that would mean patients could take just one injection a month. What we really need, though, is a vaccine to prevent HIV in the first place. So we are working with many partners to conduct Imbokodo, the first efficacy study for a mosaic-based vaccine designed to prevent a wide range of viral strains responsible for the HIV pandemic. You first publicly announced the HIV vaccine trial at last year’s Global Citizen Festival in New York City. What progress has been made since then? I’ve visited trial sites for the Imbokodo study several times and the progress is very impressive. We need about 2,600 young women to enroll in the study, and in just a year, we’ve been able to get 25% of the way there. In 2016, there were 1.8 million new HIV infections worldwide, and 43% of those were in eastern and southern Africa, with women and girls disproportionately affected. So, together with partners like the National Institutes of Health (NIH), the Bill & Melinda Gates Foundation and the South African Medical Research Council (SAMRC), among many others, we are doing this study in five southern African countries with this vulnerable population, in an effort to identify new prevention tools for them. I’m excited to showcase our commitment to global health, and to champion the people who are making the HIV vaccine study possible, including researchers, frontline healthcare workers and the patients taking part in the study. What else is the company doing to help improve global public health? We’re working with governments and NGOs to provide a new breakthrough medicine to patients with multidrug-resistant TB— which has a very high mortality rate—in countries with the most people with the disease, including China, India, Russia and South Africa. We have contributed significant resources to deliver nearly 70,000 courses of this treatment to patients in need in 107 countries. To support this effort, we have worked with partners, including USAID and JSC Pharmstandard, on an important product donation program. We also have a collaboration with the United Nations and the World Health Organization to provide 200 million doses of medication a year to children around the world suffering from intestinal worm infections. And we’re still very involved in the fight against Ebola. Today, in collaboration with organizations like NIH, the U.S. Biomedical Advanced Research and Development Authority (BARDA) and the European Innovative Medicines Initiative (IMI), we’re bringing an Ebola vaccine to the finish line for those who need it, especially in central Africa. You’ll also be attending a Global Citizen event in South Africa in December. What are you most looking forward to seeing there? South Africa has shown great leadership in how it is approaching TB and HIV. It's an example of how public health around the globe can be improved through partnership between the public and private sectors. It takes all of us in the global community to make a difference.